^ "About the Jefferson Science Fellowship". 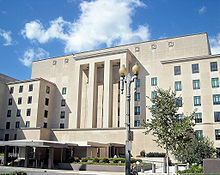 sites.nationalacademies.org. Retrieved 2018-10-31. ^ "Franklin Fellows Program – Careers". careers.state.gov. Retrieved 2018-10-31.